The Glass Palette – Interactive Glass Art Studio – Create your own glass art, purchase glass and supplies, take glass art classes. 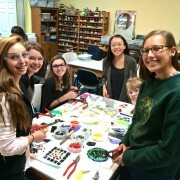 The Glass Palette is a fun and friendly environment where adventurous people of any age are invited to explore the limitless possibilities of creating with GLASS! We supply the materials, tools and instruction- just bring your creativity and an open mind! 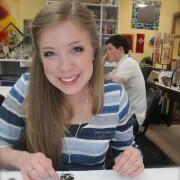 Walk in any time and create your own glass art! We have a wide variety of projects to choose from, for all ages and skill-levels. Come in and create with us! Learn exciting techniques and in-depth information in our class and workshop offerings. Host a creative birthday party, unique private event, fund raiser or corporate event at the Palette! 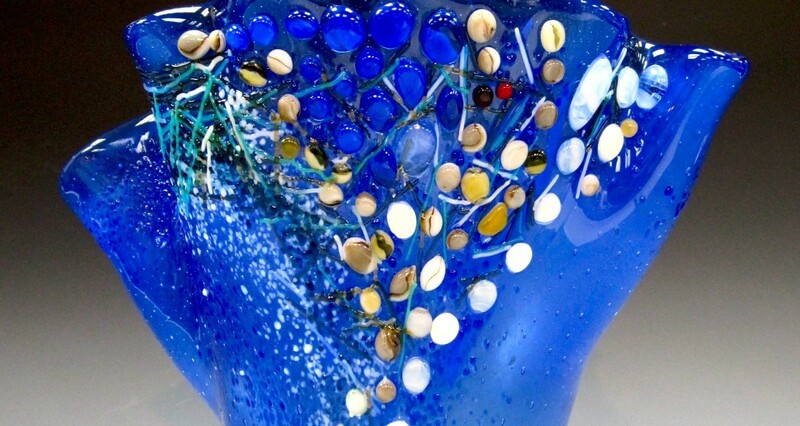 Kids create unique glass art while learning the techniques of fusing and slumping, sandblasting, mosaic, and bead making. 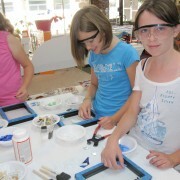 Our campers come back year after year and have a great time exploring glass art! 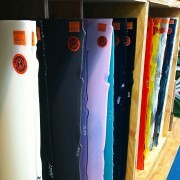 Come on in and browse our selection of Bullseye 90COE and stained glass. We also carry tools and supplies. 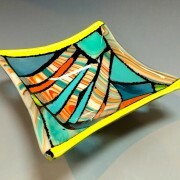 Our walk-in customers and students create unique, beautiful glass art pieces of their own design. Check out some examples of art created in our studio! Don’t live locally? No problem! We will safely send your finished items home to you in about two weeks. 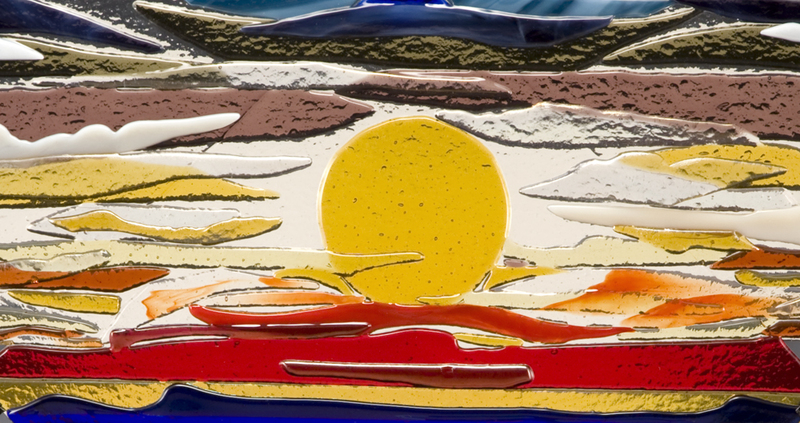 Give the gift of creativity with a Glass Palette gift certificate. Come on in, call the studio or use our online link to purchase your certificate in any amount! Can’t come to us? We can put together a glass art kit for groups of any size. Kits include glass bases, many colors of pre-cut glass, a cutting tool, glue and directions. 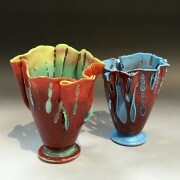 Just bring the completed projects back to our studio to be fired and finished! We recommend calling ahead for groups of 5 or more so we can reserve a table for your group!